Leading employees into a climate of disruption—whether it’s a workspace makeover or a workplace cultural shift—can be a winding, bumpy road. Those who embark on the change management journey without careful planning and an experienced guide to drive the transition are destined not only to waste time, money and resources, but to cause rifts between groups that could grind productivity to a halt. 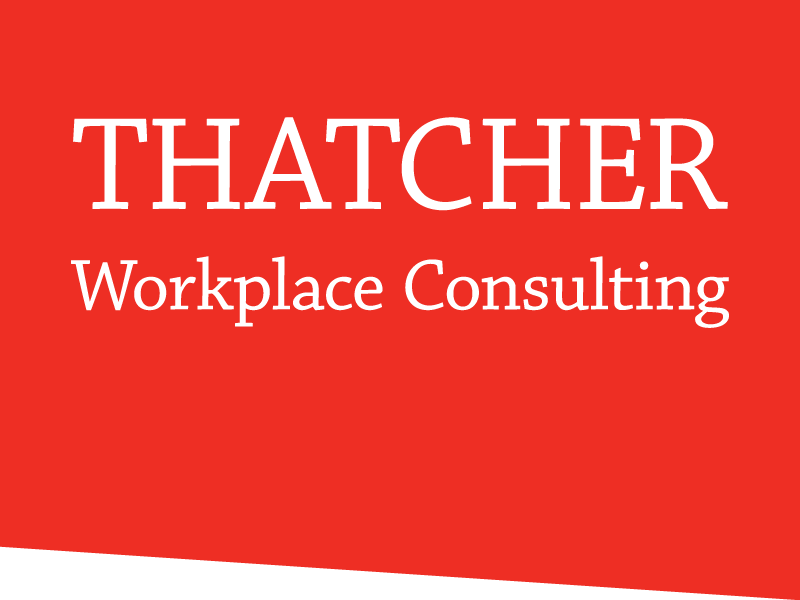 Thatcher Workplace Consulting is a leader in providing workplace and change management strategies to public and private sector clients of every size and across all industries. As experts in managing the “people side of change,” Meredith and her team will work collaboratively to identify objectives, anticipate issues, and develop a change management strategy designed to inform, mobilize and unify workers until the transformation is complete. When you’re preparing a new workspace for your people, make sure you also prepare your people for the new workplace. Thatcher Workplace Consulting has the expertise and resources to help you effectively transition the work, worker and workplace for the future. Doesn’t it make sense to work with workplace strategy experts who can also assist with change management? Do key members of your workforce require specific training, such as how to read drawings or understanding area measurement standards? Meredith Thatcher is certified as both a trainer and a professional speaker.